On the bright side, the book offers a plethora of web resources, apart from the textbook itself. The online supplements are actually a way of previewing it by studying the material mentioned, before buying the book. The text is well organized with a few spelling errors. It delves deeply into XML code details, such as creating the xsd files and editing them. The historical review serves well as an introduction, presenting both the evolution of technologies and relevant acronyms, such as SLA, SCA and so on. Moreover, the step by step guidance offered, is most of the times, easy to understand and follow. Furthermore, some parts of the source code is available online, including the intermediate steps. The chapter about complex event processing is remarkable, however one needs Eclipse Galileo, not Helios, to follow the hands on guidance. On the dark side, some sections are too long to read. Once you are done with the printed text, the online supplements must follow. Besides, the huge volume of information is often hard to manage, therefore rather messy. Some parts of text are duplicated, some others missing. For instance, on page 74 it reads: "Details for the configuration of JMS, JDBC, and UMS can be found online in Appendix C." which has been actually until recently missing. In chapter 7 some errors are reported, due to missing steps, or xsl files and a misleading image, but not yet confirmed. In addition, parts of the source code are missing, like the XML file SimplePatient.xsd mentioned on page 109. Moreover, some spelling errors are critical, omitting an 'a' from 'asynchronous', surely changes the meaning! Some crucial xpath expressions have typographical errors as well. Web services presented in the text such as ConsultWithHealthInsurers in chapter 11, are not implemented. Furthermore, in chapter 13, page 448: "The wiki provides configuration details for setting up a local e-mail server with these domains and accounts based on the JavaEmail project" but no such details actually existed until recently. Such errors, or missing information prevent the reader from completing the practice, build the necessary self confidence and continue. Unfortunately, the source code for chapters 10 and above has not been available until recently, due to broken links.The code for chapter 15 is still missing. Although most times the known bugs of soa suite are mentioned, this is not true for the ADF service data objects examples of chapter 20. All in all, the text is of average quality, the author has striven to equally balance the theoretical and practical views of the subject. 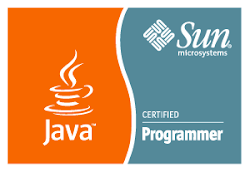 It offers an introduction to XML, XPath too, some of hands on practice. 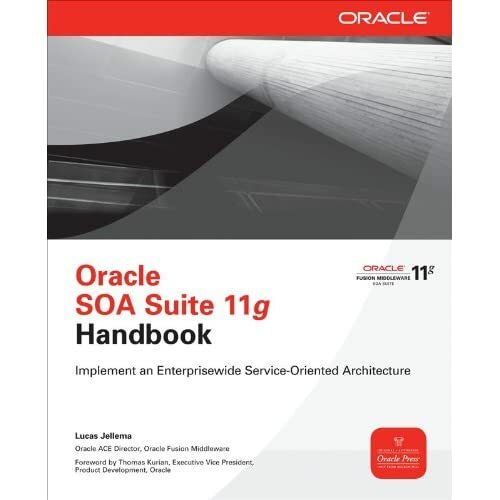 Hence, the book is definitely among the top choices for the reader who would like an introductory book, but clearly inferior to the Getting started with SOA 11g, as far as quality and precision of hands on practice is concerned. As far as quantity, the difference in number of pages speaks for itself! Thank you for taking the time to put this together and for sharing it. I have been frustrated by the lack of quality documentation from Oracle for their SOA Suite. It makes me think that they are not interested in people learning how to use their products on their own.